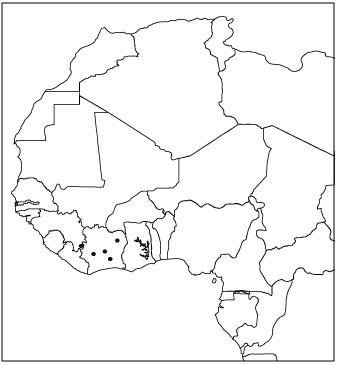 Distribution of Kassina schioetzi. Map prepared by Kellie Whittaker based on Rödel et al. 2002.